From A1M Southbound, leave at A47, Peterborough. 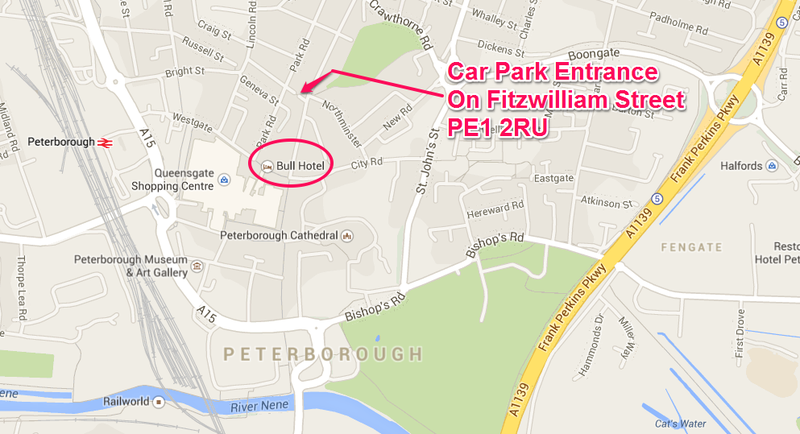 At mini roundabout, turn left onto A605, following signs for Peterborough. Take second exit and proceed along road to T-junction. 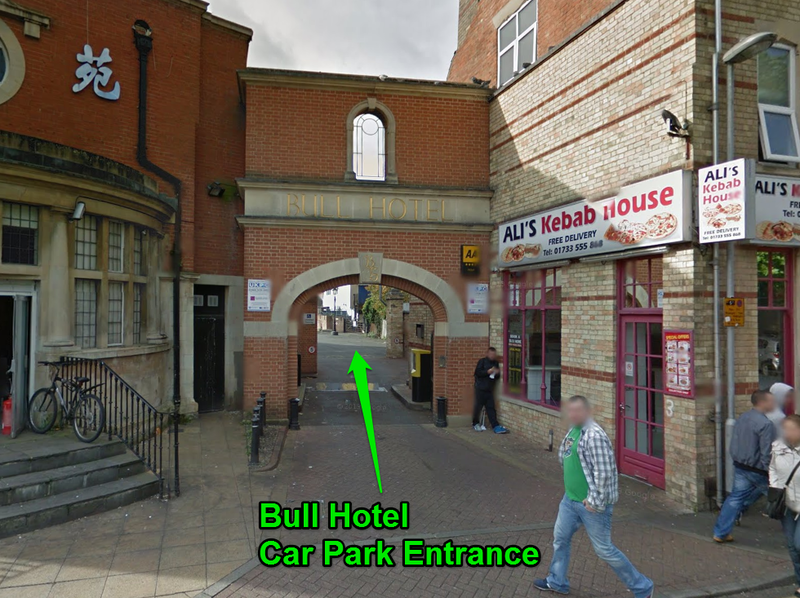 Turn left and immediately right into Fitzwilliam Street at entrance to Bull Hotel Car park. 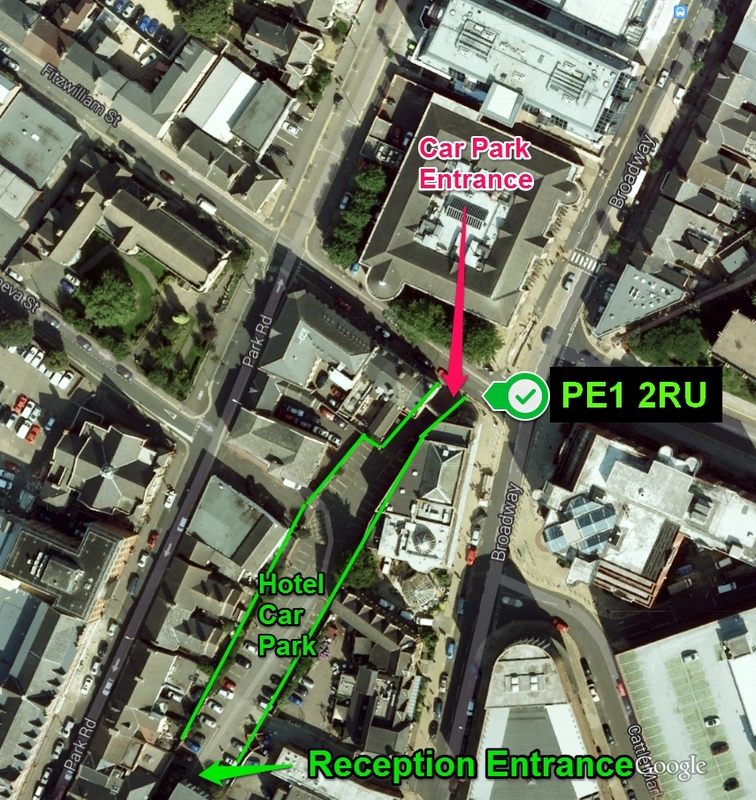 Leave at junction 5, take first exit off roundabout and proceed along road and uphill to roundabout. Leave A14 at junction 13 and take second exit at roundabout, onto A605, Peterborough. Leave A1139 at junction 5 and take first exit off roundabout and proceed along road and uphill to roundabout.